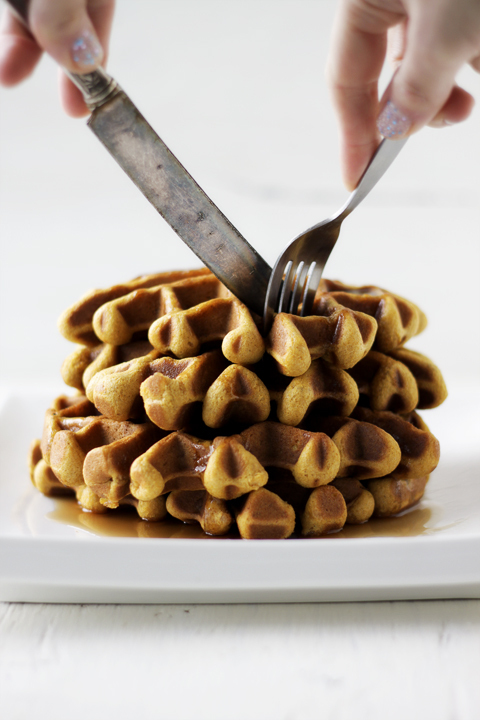 Pumpkin Ginger Waffles — always with butter. Whisk flour, baking powder, baking soda, salt, ginger and cinnamon. 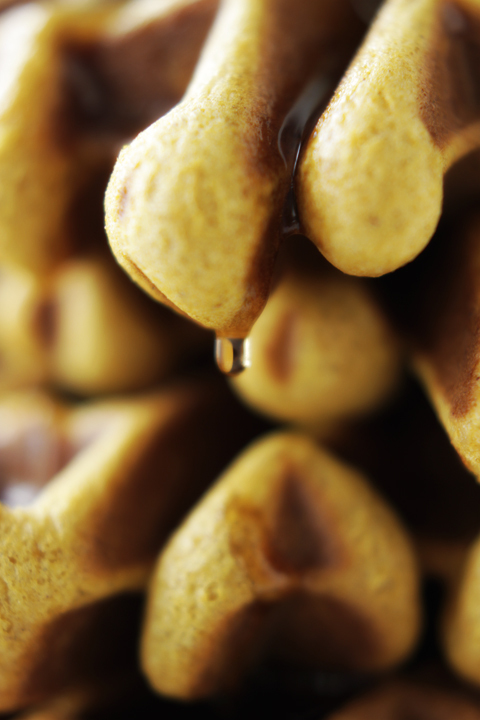 Remove 2 tbsp of flour mix and toss with the ginger. Set aside. Whisk eggs, buttermilk, pumpkin, sugar and vanilla. Mix into the flour mix. Gently stir in the butter and ginger. Do not over mix. 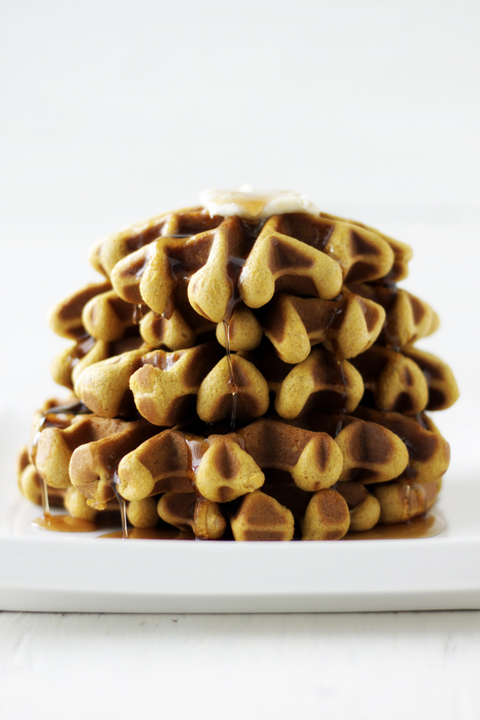 Use 1/2 cup batter per waffle. 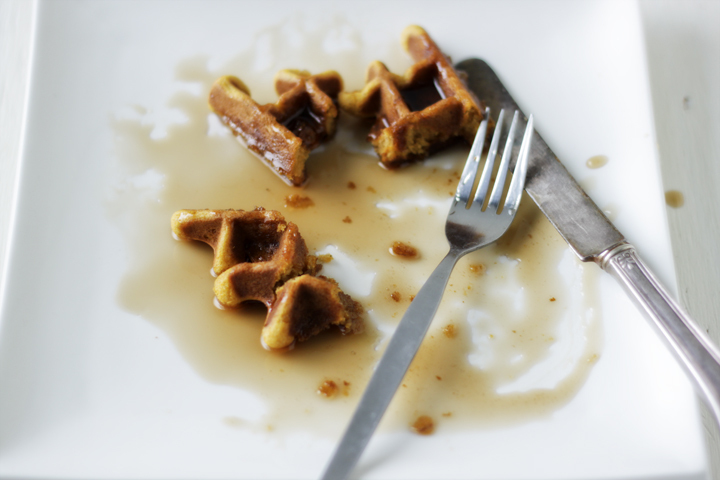 Grease iron before each waffle and cook until golden. 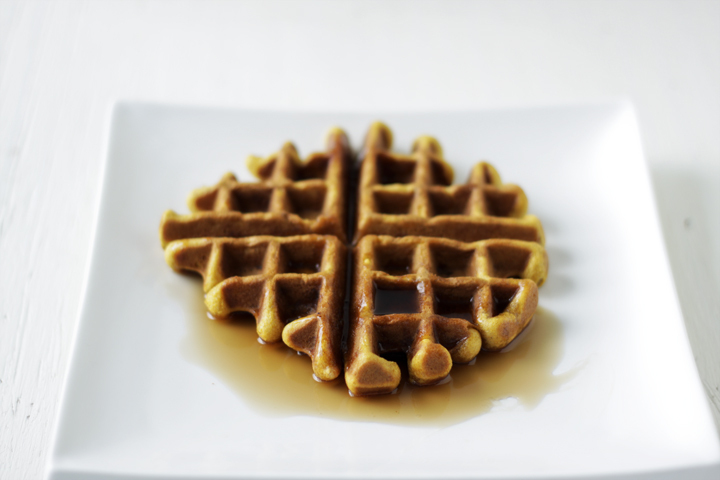 Serve with hot butter and maple syrup.